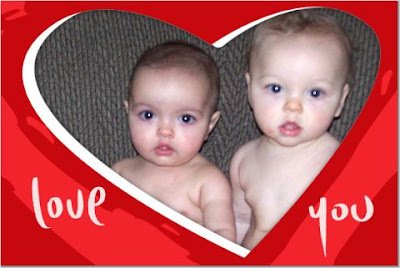 Our Little Miracles: Happy Valentine's Day! Thanks for the cards cuties! In about 8-10 years, I am sure the girls would LOVE to get another valentine from you sweethearts! Happy Valentine's Day!